Biographies are always interesting, particularly when they’re on a person I’ve always wanted to learn more about. This biography on J.R.R. 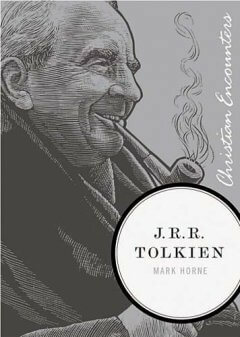 Tolkien by Mark Horne, is an excellent quick look into the life of the 20th century’s greatest fantasy writer, or at the very least the most influential. Through this short book, we can get a great glimpse at the man behind Middle Earth. Though it seems you always hear a lot about C.S. Lewis and his Narnia books, biographies on his peer, Tolkien, are definitely less common. It just seems that Tolkien kept himself a little bit more in the dark concerning his personal life. After all, his books did not become really popular until he was already retired. This book covers Tolkien’s life, his daily events, everything about him we could want to know. Tolkien had a very hard childhood. His father died when he was very little, and his mother died when he was a teenager. His mother’s conversion to the Roman Catholic faith isolated him and his brother from other family members, so he bounced around through different homes throughout his school years, eventually ending up in the care of Father Francis Morgan, a friend of his mother. Even from a young age, Tolkien loved inventing things, and was particularly interested in language, quickly becoming bored with the Latin and Greek his school offered. With the help of Father Morgan, Tolkien was accepted into Oxford after two unsuccessful tries, and there began to become interested in the Nordic languages, particularly Finnish. In college, Tolkien decided that, as an adult, he was able to defy Father Morgan’s orders not to see Edith, his childhood sweetheart. After passing his mods, which were entrance exams for an academic position, he married Edith. Their relationship was quite interesting – the tale of Luthien and Beren, in which Luthien, an elf, gave up her immortality to marry Beren, a man – was written by Tolkien as a picture of their marriage. Another interesting facet to their marriage was Edith’s conversion to Roman Catholicism (upon Tolkien’s insistence), which eventually drove her away from Christianity altogether. It was after Tolkien began teaching which he began work upon Middle Earth in earnest. He began to compile various writings of his in a collection of tales which would eventually become the Silmarillion. Though many nowadays may disagree, Tolkien always considered this book his life’s work, and his masterpiece. He also began writing The Hobbit, a whimsical tale which somewhat unlikely found its way into Middle Earth. This would be the base of his stories about hobbits. The Hobbit sold well, and the publisher pressed Tolkien to write a sequel. It would take him over a decade to produce the result: The Lord of the Rings. An ardent perfectionist, Tolkien agonized over his writing and was hesitant to publish it until it was perfect. The Lord of the Rings was split into three volumes and proved to be much more popular than its predecessor. Soon, the book took to the United States as well, and began to become world-famous. By this time, Tolkien was quite old, having already retired. He began to compile the Silmarillion into a finished volume, but passed away before it could be totally completed. His son, Christopher Tolkien, completed the work and had it published. At the end of this biography, the author quickly examines Tolkien’s legacy, particularly on the fantasy genre. He cites authors such as Rowling and Flanagan, who were influenced by Tolkien’s work. I believe that the author rightly calls Tolkien the author of the century. It was very interesting to read this book on Tolkien; as I said before, one doesn’t usually see many Tolkien books out there. This one, though short, gives you a good overview of his life and specific details on his path to writing his books. In short, I highly recommend this book to any Lord of the Rings books, or even to anyone who enjoys fantasy; such has been Tolkien’s influence on the field. This book provided for free through the Thomas Nelson BookSneeze program. 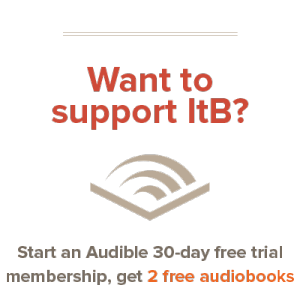 You’re right – biographies on Tolkien are few and far between. (I’ve never encountered one in a bookstore, in fact). This looks like an excellent read about one of my favorite authors. Thanks for the review!